If you want to see episodes you’ve previously archived on a podcast page, choose the show archive option. 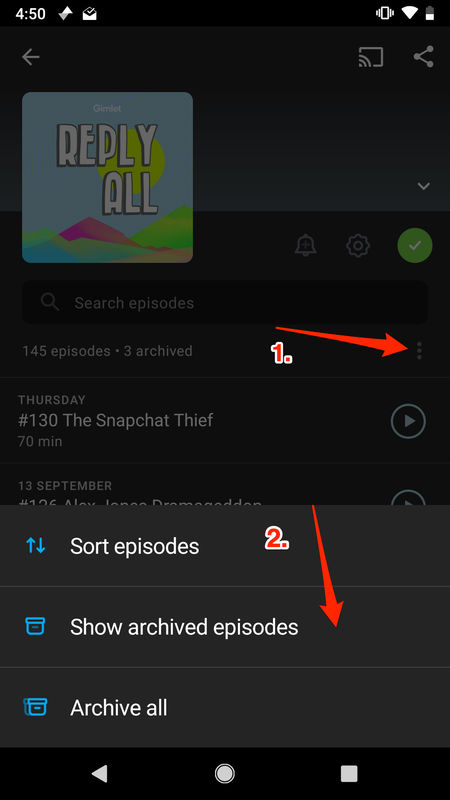 To unarchive an episode you can either swipe it again or tap the unarchive button on the episode page. Archiving an episode doesn’t change the playing status, so you won’t lose where you’re up to, and you’ll also always know whether you’ve played something or not.